The objective is to guarantee the protection of the oil exploration platforms in the pre-salt layer of the Santos basin and to extend the security of the Port of Santos in the state of São Paulo. On August 6, 2018, the Navy of Brazil (MB) launched the Naval Patrol Group of the South-Southeast, to intensify the inspection of Brazilian waters in those regions, on the coasts of the states of São Paulo and Paraná. The objective is to guarantee the protection of the oil exploration platforms of the Santos basin, to extend security in the Port of Santos, which is the most important in Latin America, to enhance the search and rescue missions at sea and to ensure the compliance with water traffic rules. 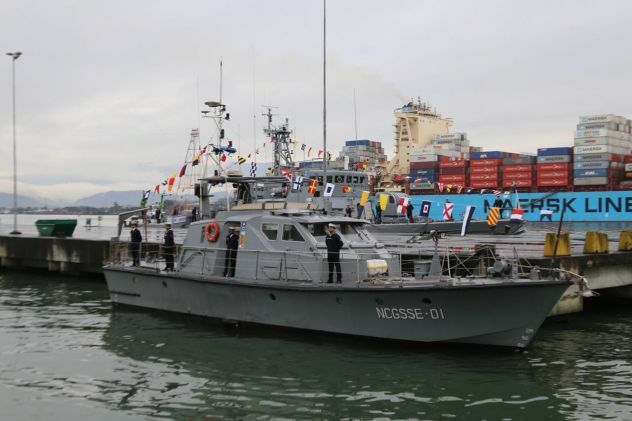 To guarantee the inspection work, the military unit has the Guajará patrol vessel, which was modernized and has the autonomy to remain in the ocean for 10 days and the capacity to operate in up to 200 nautical miles (370 kilometers) away. The group also has an armored boat valued at USD 360 500 and two patrol alerts, the AviPa Barracuda and the P8003 Espadarte, which were also modernized. The unit will have a total of 80 soldiers, which includes six officers and 42 non-commissioned officers, in addition to the crew of the vessels. The group settled in the dock of the MB, on the right margin of the port complex of Santos, where the Captaincy of the Ports of São Paulo is also located. The new group and the captaincy, both subordinated to the Naval District Command No. 8 (Com8.ºDN), will operate independently, although complementary. The area covered by Com8.ºDN extends to the states of São Paulo, Paraná and Minas Gerais, in eastern Brazil, as well as sectors of Mato Grosso do Sul and Goiás, in the center west of the country. The military assigned to the group will stay at the Santos Air Base in Guarujá, on the coast of São Paulo. Previously, the patrol was in charge of a group deployed in 2015. “The naval patrol service in the maritime area of ​​the Com8.ºDN jurisdiction was carried out with naval and naval resources assigned to the Naval District Command No. 1 and, possibly, with resources from the Fleet Command of the MB. With the activation of the group, the naval patrol service will be carried out with the resources of the Com8.ºDN “, explained the Cap. of Frag. Marden. In addition to the work of naval inspection, ships must guarantee the safety of oil extraction operations in the pre-salt layer of the Santos basin. The military unit will patrol the regions near the platforms, where there is a perimeter of 500 meters to be protected. “The resources will be used in naval operations, such as naval patrol, aid and rescue, port defense or restricted maritime zone (which includes terminals and platforms for oil exploration in the pre-salt region) and activities related to the safety of navigation “, Added Cap. of Frag. Marden. One of the problems that patrols will help avoid will be fishing vessel activities near the platforms. In some cases, the exploration team throws organic matter into the sea, which attracts fish and, consequently, fishers. To measure the importance of the work of the military, the new group took action a few days after its authorization, on August 13, 2018, when armed men attacked the Italian ship Grande Francia, while waiting to enter the Port of Santos. The criminals managed to escape and the ship was escorted by soldiers on board the AviPa Barracuda to the dock. The main line of investigation of the police maintains that the pirates feigned a robbery to embark 1.2 tons of cocaine in the containers of the ship, that would transport the narcotics to Europe without his crew realized it. In August, the Port of Santos broke records of seizures of cocaine with the support of the customs sector of the Federal Collection Service and the naval patrol of the MB. In four operations, 3.5 tons of drugs were confiscated, according to data from the Federal Revenue Office.